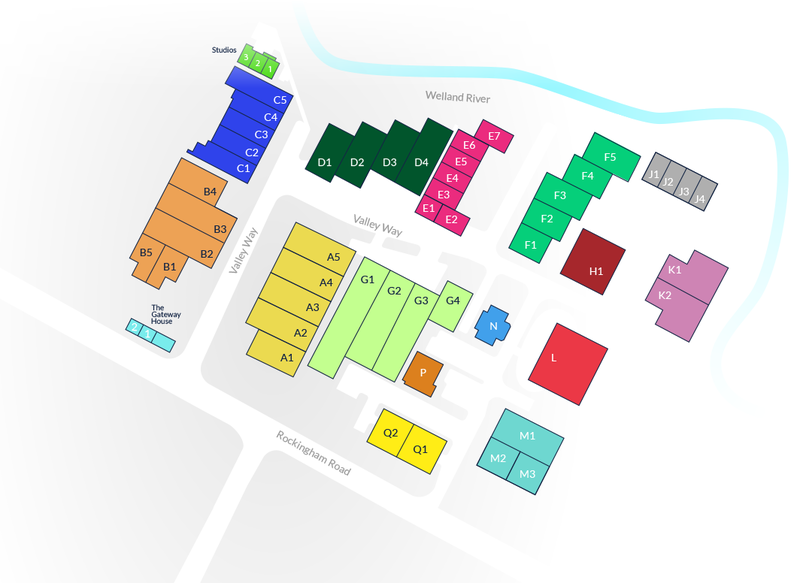 Welland Business Park is 1 mile east of Market Harborough town centre and very close to the local railway station, with direct connections to London St Pancras International and Nottingham within 1 hour. Amenities near the park include a petrol filling Station, Tesco Express and the Roebuck Pub and restaurant. There is also a train station near by with direct links to central London.